Missing tooth or teeth can cause people to be insecure about smiling but the main problems we hear about are the patient finding it difficult to chew. Teeth that have been extracted due to trauma, decayed teeth or teeth that just never were developed. There is many ways to fix a missing tooth or teeth. An implant may be placed if you are a suitable candidate. An Implant is a screw that is placed into the jaw bone that has a porcelain tooth sitting on top. A porcelain bridge may be able to be placed. The dentist will crown the teeth on both sides of the missing tooth and a porcelain false tooth will hang between. 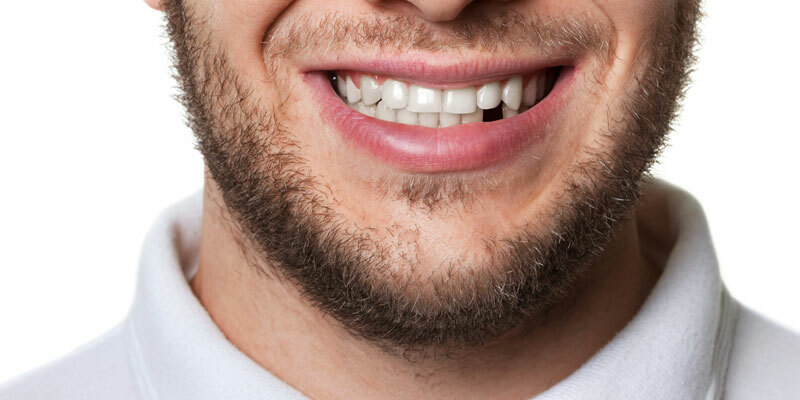 Dentures can also be made to replace multiple missing teeth. The dentist will examine your mouth and draw up a treatment plan that is best suited for your needs. Book online today so we can find a suitable treatment for you.